"I once heard Marvin Gay say on an ad-lib, music was like religion to him. I couldn't agree more," says E'morey. "It's where I turn when times are crazy and I need peace. When I want to let go and fantasize I turn to music. As a singer and songwriter it's not only how I escape but also what gives me focus and joy in life." When you listen to E'morey's self titled debut album you get a balance of who he is. It's a sweet mix of pop, hip hop, blues, Techno, jazz and r&b, made by someone who loves all of it and will bring many new ideas of his own to the flow. Originally from Boston, E'morey grew up in various foster homes in South Central Los Angeles listening to Funkadelic, ZZ hill, the Beatles and Donna Summer. He went from listener to Artist after going to his first Baptist church at 5, he immediately found himself being the center of attention at many events, which led to high school talent shows and show choir awards. Today E'morey makes New York his home. North Hollywood's annual Star Scene was E'morey's first taste of Stardom. He captivated the Audience with his rendition of Lee Greenwoods "Wind beneath my wings" and won first place which led to guest spots on the Susan Powter show, The Underground, Marilu Henner show, Mama I want to sing and African American Spirituals to name a few. At press time E'morey's debut single had bounced! through every major club in the country. See emoreymusic.com or call Parliament Records 1-(818) 362-9853 or Personal Management by: Len Weisman (323) 653-0693. 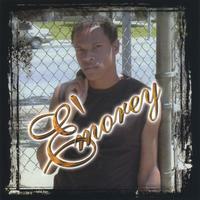 E'morey's songs are packed with emotion and purposed filled themes! I kept listening over and over again to several tracks. I'm so use to only liking one or two songs on most every thing I review these days but E'morey keeps giving me something interesting and melody filled with sweet vocals! I Love it, Love it , Love it especialy the ballads. E'morey will be preforming at the AMA-VDTRA National Championship Motorcycle Races during the Oklahoma State Fair in Oklahoma, City in September of 2005. E'morey will be paying tribute to those who have sacraficed their own lives and those of their famlies to defend the freedoms we enjoy every day living in America. His singing our Nation's Number One Song, the National Anthem. Which will kick start the festival of sound at the Oklahoma State Fair. We are very proud to have E'morey as the artist that will preform this great tribute. E'morey will be greeting fans and signing autographs during the first part of the show. He will have his CD's on sale at the event. His music represents the cultures of America, the melting pot. What better person to listen to as he has lived from Sea to Shining Sea, and preformed Across the Fruited Plain. Please support this great artist with your purchase of his CDs.
" I Love his voice"